Entrepreneurs that want to take their small businesses to the next level or create a brand new startup using Artificial Intelligence (AI) can now do so with access to IBM's Watson. IBM is granting small businesses access to Watson. In the Watson Ecosystem, Watson’s capabilities are available as APIs. Imagine a retailer that allows it's customers to walk the isles and ask for help and get help on finding a product without interacting with a single sales person, but instead interacting with Watson. According to IBM with Watson’s cognitive services, partners can make more intelligent product recommendations to online consumers, better respond to customer questions or identify relationships in unstructured medical data. This technology could be used to tackle problems in all industries. 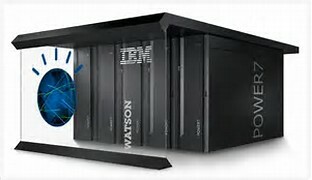 If you wish to use this resource to enhance your small business visit the IBM Watson webpage and the Watson Q&A webpage.